The Here Comes the Sun Jack Nicholson As Good as it Gets Deal and GT 85 for a Quid Fifty. It's a big bank holiday weekend coming up, Friday is looking a shocker with Thunders and Showers. But it's a long weekend and the news at 10, as John, Paul, Ringo and that other bloke sang - "Sun, sun, sun, here it comes"
Buy the new Carnac Notus Race summer helmet and get a complimentary set of the latest Carnac Equipe Glasses. Take care of your head and we'll take care of your eyes. Our best selling superlight semi aero helmet weighing in just over 220g, race tested by the Holdsworth Campagnolo and Team Delko Marseille it's a spot on summer helmet from the Carnac Notus helmet family- Currently 29.99. The next 300 customers to get stuck in will get a set of the new Carnac Equipe Sunglasses in the red Revo colourway for free, (we've even put together a bundle to make it even quicker and easier to add them to your basket, see below). The Carnac Equipe are the most popular sunglasses with our Team Holdsworth Campagnolo riders and the boys at Team Delko Marseille. Super light, ANSI Z78.1 approved and offering 100% UVA/UVB protection these are our top spec sunglasses. If we are honest, its a pretty silly offer, £29.99 for a lovely team spec summer helmet and a complimentary set of Equipe Sunglasses, a bit daft really but we worry about your safety. The blue Revo versions can be had for an extra 30 quid, orange low-light 'be-happy' glasses an extra 30 quid, and photochromic an extra 60 quid. Even Jack Nicholson knows this offer is probably As Good As It Gets, take our word for it. We're not finished though. On top of this offer, we've another of our classic best selling offers. 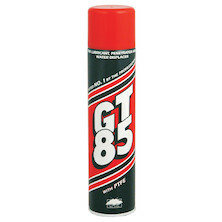 of GT85 cans for a flat £1.50 - limited to a maximum of ten per customer (to stop the bike shops cashing in), this one always sells very quickly. And if that does sell out, as it probably will, we have taken the liberty of adding three of our Jobsworth Bicycle Solution Sprays at the same price so you can mix it up a bit.